Alpha meditation is a very effective technique by which you can connect with your subconscious mind effortlessly. Experts believe that the ancient Siddha practitioners of India used this meditation to center their mental energies. The therapeutic effects of Alpha meditation are indisputable. Practitioners can feel their minds entering a blissful state soon after they begin to meditate. In fact, with Alpha meditation you can 'train' your subconscious towards positive, empowering self- perception, and in the process transforming your life dramatically ! Does Alpha Meditation Re-energize the Body and Mind ? Yes, practitioners of this meditation technique find themselves re-energized and refreshed after each and every session. During alpha meditation, you tap into the state of consciousness that exists between the states of sleeping and waking. This allows you to harness the capabilities of your subconscious in the most effective manner and to bring it to fore so that several benefits may be derived. The wonderful thing about alpha meditation is that it is not just your body that is refreshed but also your mind and spirit. You will find innumerable positive changes taking place in your physical and mental self when you adopt this meditation technique. 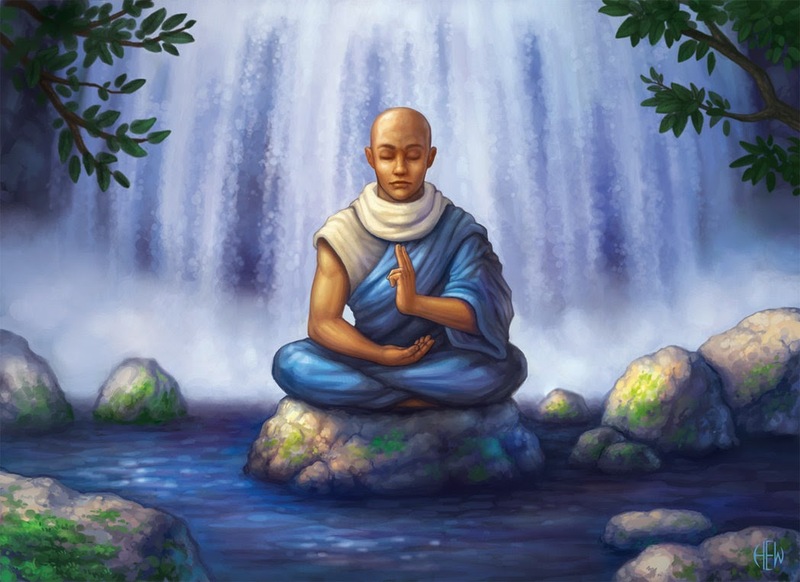 When you are in the alpha level during this meditation, where you are fully connected with your subconscious mind, your brain waves slow down to as much as half the normal frequency. This is the comfort zone for the human brain where about 7 to 14 pulsations can be detected in a second. In a perfectly healthy person, this is the state achieved when he falls into a deep sleep at night, resulting in him waking up completely refreshed and rejuvenated. Unfortunately, there are hardly a handful of people who manage to achieve this kind of uninterrupted, deep sleep at night. By using our isochronic tone Alpha meditation Isochronic tone you duplicate this state with ease. This allows you to derive the benefits arising out of this deep state of relaxation even when you are not asleep or when you are unable to achieve this kind of ‘perfect’ sleep. For those who are under immense stress and unable to think with clarity or who lack focus as a result of mental/ emotional disturbances, alpha meditation using our Isochronic tone is the perfect solution. As you move deeper into the state of calm that alpha induces, you will find the stress/ disturbances leaving your mind. Your thoughts perceptibly sharpen and come into focus. Physically, this state will manifest itself as regularization and slowing down of your breathing and pulse. At this point, you find yourself able to balance or ground yourself and control the stressors/ interrupters that are disturbing your mental calm. With regular practice you can control these negative triggers consciously as soon as you sense them beginning to affect you so that your mental calm is never allowed to be disrupted. 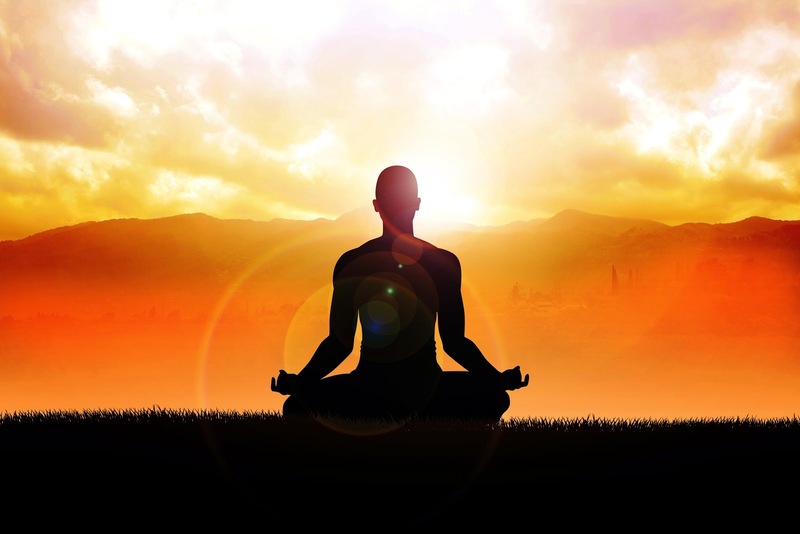 Why Should You Use Alpha Meditation? In today’s fast paced world, stress is becoming the natural state of man. Taking medication for stress related problems comes with its own barrage of adverse side effects. Alpha is the perfect solution for such issues because this meditation technique allows you to harness your own inner power and leverage it to center your mind, body and spirit. Our isochronic tone Alpha meditation Isochronic tone enables you to achieve success right from Day 1 with this kind of meditation. As a result you empower yourself, become a more productive employee, a focused individual and a stronger person overall. The energy existing in all living beings or the life force is known as chi. 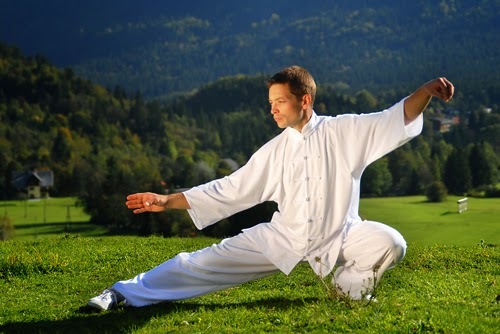 Tai chi meditative practices are aimed at normalizing and controlling the flow of energy. It takes years of practice to attain such control. With acoustic brainwave activation it is possible to reap the benefits of advanced tai chi meditation without any prior experience. What is the importance of tai chi meditation? According to ancient eastern science, life force travels across body through channels known as meridians. There are totally 12 meridians and chi flowing through them controls all bodily functions. Blockage of chi is the root cause of physical or mental disorders. Tai chi meditation helps clear such blockages and normalizes the flow of energy. With practice it is possible to control the flow of chi and increase or decrease it as required. Tai chi meditation is based on ancient eastern traditions. It deals with the regulation of life force. Chi present in the body is either inherited at birth or accumulated through diet and activities. The inherited chi can be considered as the genetic code, while the accumulated chi is the energy used for everyday activities. When the body is unable to absorb required amount of chi or circulate it efficiently, the condition manifests in the form of disease or illness. Tai chi meditative techniques aim to normalize the flow of chi. It takes years of practice to gain control of chi, but with tai chi meditation audio recording even beginners can gain such control. The recording works on acoustic brainwave activation technology to induce deep meditative state. What are the benefits of tai chi meditation? Tai chi is called meditation in motion. It offers a number of physical, mental and spiritual benefits. It is the secret behind the long lifespan of those belonging to eastern ancestry. 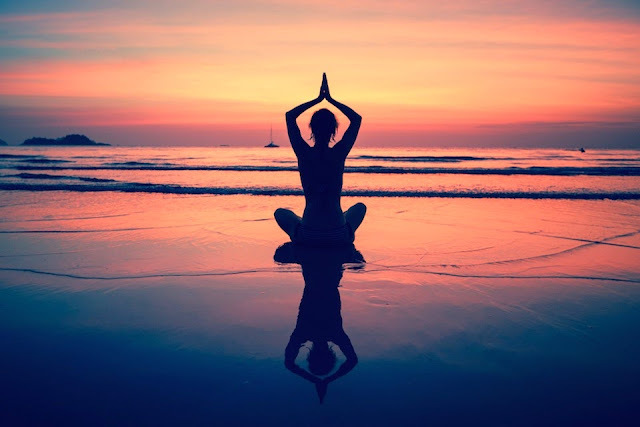 It offers all the benefits of meditation like decreased anxiety, increased focus, calm mind, relief from pain, enhanced immunity, improved heart function and an overall positive outlook. Its effectiveness in conditions like sleep disorders, stroke, heart failure, breast cancer, hypertension and Parkinson’s disease has been proved by different studies. Tai chi meditation audio recording is a short cut to the benefits offered by the ancient practice. How does tai chi meditation audio recording work? What kind of experience does it induce? Tai chi meditative state is associated with specific brainwaves. The unique brainwave pattern is simulated by tai chi meditation audio recording. Acoustic brainwave activation induces the brain to create a psycho somatic state similar to the one reached with traditional tai chi practices. The program is an easy alternative to ancient exercises. Regularly listening to the recording offers benefits like personal enhancement, relaxation and enlightenment similar to those provided by traditional tai chi meditation. More and more Hollywood celebrities are doing meditation for self healing, anti stress, or even anti aging purposes. The list includes Madonna, Richard Gere, Sting, Halle Berry, Danny Glover and other well known public figures. Jessica Alba, one of the hottest Hollywood actress, practiced meditation during laboring her daughter. She did not make any noise at all during the whole process. Alba said, " I did not scream. It was really Zen. I wanted to do the delivery naturally. The process was more like a deep meditation." She is convinced that a quiet delivery room kept her pain free during the delivery. Meditation has been practiced long before the Hollywood meditation frenzy. It has been practiced by our early ancestors, even during stone age. In the west. Meditation was considered part of the eastern culture until The Beatles in the seventies introduced it to the west. Since then, it becomes more and more acceptable to the west. Various studies in the major universities and hospitals across the United States have shown that meditation help to speed up healing process. Patients who added meditation as part of their healing programs, showed significant improvement in their recovery. 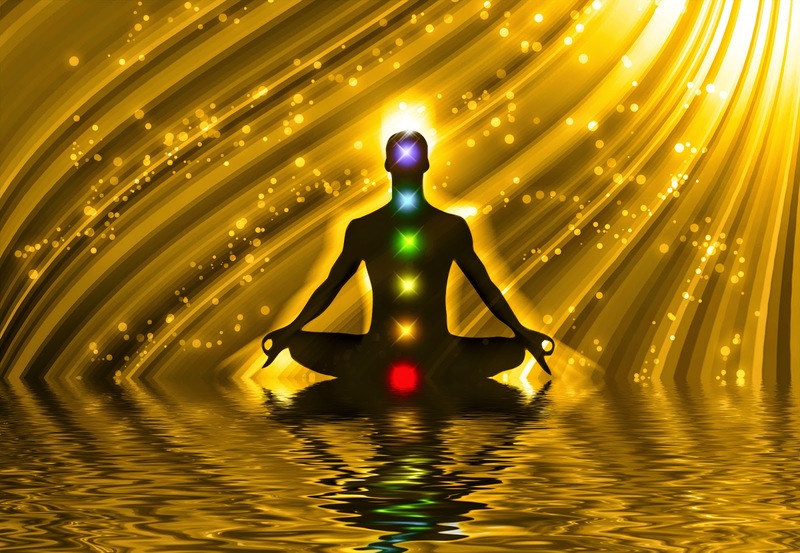 Self healing meditation are often advised by the medical professionals to complement modern medical treatments. During self healing meditation, patients' brain wave entered alpha or even theta state. In this deep meditation state, one's immune system is improved. This is the key factor in the healing process. Spiritually, meditation helps you to become more connected with the Divine Source. The better you are connected with it with unconditional Love, the healthier you will become physically. This is an automatic reaction to unconditional love, because you are in harmony with the Source. Meditation nowadays does not have to be a painful chore. More and more easy to learn techniques are introduced to the west. One of the most favorite technique is the energy based technique, such as Reiki and Divine Energy Meditation. Meditation using Divine Energy is much easier than any other conventional techniques where you have to spend months sometimes years to master. It includes an initiation process which allows you to be able to access the healing energy instantly. There is no ritual or any specific sitting position. All you have to do is sit comfortably, close your eyes and let yourself be in unconditional love. Now, everybody could enjoy meditation without straining your muscles and mumbling strange words. 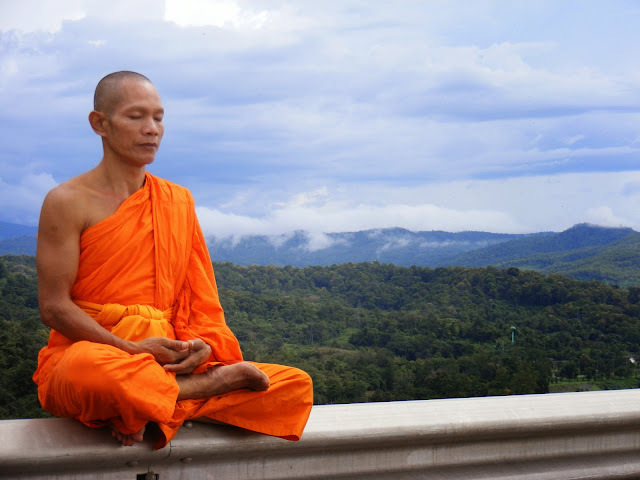 When first hearing the word meditation, most people would think of some spiritual practice that he or she must do in a very secluded place and take years to get the full benefit. This is not entirely wrong when You refer of traditional meditation technique. Now, there is a new approach to meditation, the energy based meditation. Meditation is much easier and simpler if You received a Divine Energy initiation from a competent master. What the master would do is actually align your energy centers or Chakras to the Divine Energy frequency. The initiation will only take 10-15 minutes. A competent master now will not need to do physical actions to give You an initiation. For example, Reiki initiation would involve tapping, blowing even touching the initiate's body. Now, a competent master would only need to pray, and the initiation will be taken over by the Light Masters or even by The Source directly. This probably sounds too strange few years ago, but this is actually what is happening now. Divine Energy from The Source will come down upon request and automatically self-adjusted to the initiates spiritual and physical level. This is much better than the initiation few years ago, where your level would be decided by the master. Once initiated, You are automatically become the practitioner of Divine Love and Lights Energy. You could access and channel the energy to meditate or self healing by simply affirming it. The most common practice would be by placing both palms in your chest in a relax sitting position. Once You do this, the energy will come in through your Crown Chakra and comes out from your Hand Chakras, penetrating your body system. When the Divine Energy penetrates your body, it relaxes your muscle and make it easier for You to enter deepest state of meditation and help heal your body. You don't need to do any mantra, focusing on certain part of body or objects, just relax and enjoy it. 10- 15 minutes a day will give You great benefit physically and spiritually. It's that simple. The energy based technique now is gaining more and more popularity because of its simple and very easy nature. Anybody could do it anywhere and anytime. Self Healing and Energy Healing - do they work at all ? For most westerners the terms energy healing sounds a little bit strange. When you were young, you were told that doctors will heal you, not energy. Well, the world seems to shrink, and we learn new things every day, it seems that more and more strange things have become our daily consumption now. Before The Beatles in the sixties, not many westerners heard Yoga before. Now, they are teaching Yoga in Beverly Hills and Manhattan. Energy healing has becoming popular in the United States since late eighties. More people took Yoga classes, learned meditation and practiced Chi Gong. Big major hospitals such as VA Hospitals, Kaiser Hospitals encouraged their patients to include meditation session as a recovery program. Energy healing with physical activities such as in Chi Gong and Yoga, gradually shifted to finer form of energy healing obtained through meditation such as Reiki meditation healing. The concept is real simple. You get an initiation from a competent master teacher, get your chakras activated and access the Divine energy just like that and channel it to your body or to others. As far as disease itself, a human will have problems in his or her energy field before the diseases materialize in his or her physical body. This is the best time to heal yourself or help heal others, before the disease get into physical bodies. It's better not to use energy healing as a substitute to the modern health care. Energy healing should be used only as a complimentary to the modern medicine. Energy healing will help to accelerate the recovery program because it improves your immune system. People who regularly meditates and do 15 - 20 minutes self healing session every day live healthier, look younger and are generally happier than the ones who don't. Let's start now, make a meditation and self healing session as a part of your daily routine. 15 minutes of energy healing a day will keep the doctors away. Meditation if done properly will enable You to access a vast amount of Divine Energy. A beginner who is not used to this huge amount of energy could feel uncomfortable and feel dizzy after a deep meditation. The best remedy for this is Grounding exercise. Grounding exercise will channel the excess energy to mother earth and other existence who needs it. Traditionally grounding exercise would involve certain steps and rituals such as sitting cross-legged positions and visualizing roots come out from your feet into mother earth to clean up your system. Although this exercise has been proven to be effective, now there is an easier way to do Grounding exercise. For those who are initiated with energy based meditation technique and attuned with Unconditional Love energy, You don't really need to spend 30 minutes or so to do a guided grounding exercise. All You need to do is just intend it! Yes, it's as simple as that. Just sit in any comfortable position, even your favorite Lazy Boy, and affirm to yourself that You would like to ground all the excess energy to mother earth and all existence. Why is it so simple? Is it as effective as the traditional Grounding exercise? The answer is yes. When someone is initiated with Unconditional Love and Divine Energy, his or her level or consciousness goes up. Intention to do grounding in a relaxed position is all You need. No need for any rituals such as incense burning, visualization of roots extending from your feet into Earth. How long will a good Grounding exercise take? Again, for those who has energy based initiation, intuition will take over. Your intuition is the best indicator whether the exercise is enough or not. Grounding exercise is best to be done after Meditation or whenever your intuition says You need to do it. Follow your intuition, usually once or twice a day for 15 minutes each is enough. Many amongst us are still new to the term "Self Healing" and don't know what exactly this self-healing is all about. The human body is the most fantastic creation of God and in our lives these days we handle so much of day to day stress. Meditation and self healing are the best ways to handle stress. Self healing is the art of making your mind and soul stronger to handle stressful life's situations much more easily. This article discusses what self healing is and how it is done. Self-healing means recovering from stress, depression or any other kind of mental tension or trauma. In self-healing, self-motivation and positive thinking is very important. This can be easily achieved by meditation. In self healing meditation you are in a deep meditation state that helps in improving your overall health especially your immune system is improved. This type of meditation technique brings you close to The Source and you are in harmony with nature. Our mind and body are closely interlinked. Negative thoughts and feelings result in negative effects on our body whereas positive thoughts have a healing affect on your body. Anxiety and stressful feelings produce negative vibrations, so during self-healing, one must do away with any negativity in the mind as your thoughts have a direct impact on your body. It is hard to shift your focus on a conscious level so meditation helps a great deal. Self healing meditation help you to reach a state where which directly links you to your sub conscious mind. Self healing can help your body relax and organize itself enough to allow medication to work better. Self-healing can help you get rid of bad habits too without having the inner struggle that you usually feel when trying to change your habits. This is because the subconscious mind directs you to follow a specific pattern. It can be reprogrammed to follow a healthier pattern. Self healing meditation can be used to heal any kind of medical problem like hypertension, body pain, stress, headaches, and more. With the help of positive energy and will to heal your illness, you can live a healthy and happy life. 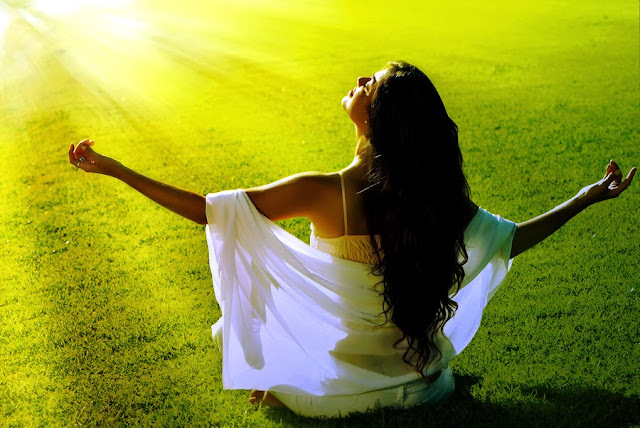 Self healing energy around you will give you a new lease of life. When you put a lot of stress on mind and body you feel like withdrawing from the world whereas when your thoughts are positive and you are calm and recharged with healing energy you feel healthy and happy. 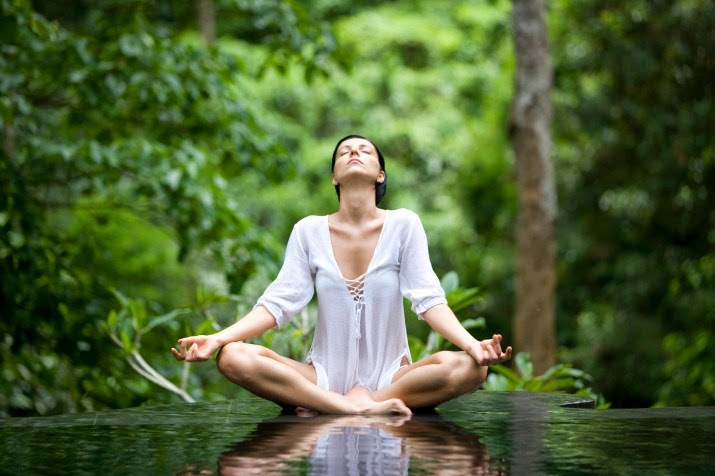 Due to numerous benefits, self healing mediation is being practiced by more and more people. The human life today is full of struggles and stresses. If one decides to slow down, there is a full chance of him being left behind. Most of us live a stressful life and are overloaded with work to maintain pace with others. Stress is the gate to all mental and emotional ailments. Meditation is the best possible way to reduce stress and live a healthy and happy life. Meditation traditionally is done with focusing on objects like candle, or your breath. Through meditation, your mind and body relaxes and you experience inner peace. The more you are focused and concentrated, the better results you are going to experience. 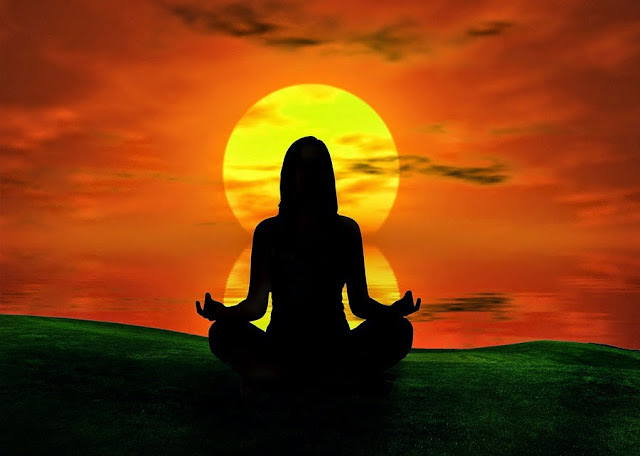 Meditation helps in developing your concentration levels. Many people amongst us believe meditation is not for us and might not work in our situation. Well, this is completely wrong and the fact is that anyone can easily learn meditation and if you practice it regularly it will help in knowing yourself better. This article discusses some meditation techniques that are very easy to follow and work real well too. The most basic form of meditation technique is closing your eyes and counting your breaths. All you have to do is to simply breathe in and breathe out and pay attention to the sensation of your breath coming in. You have to feel the air coming in and going out of your nostrils. This will help you concentrate or meditate. When you will follow this breathe in and breathe out for some time, you will notice that your focus on counting your breaths is increasing and your contact with the outside world is reducing. Keep your eyes closed during this process and keep yourself focused. Another common meditation technique is the use of some mantra. In traditional Hindu culture, the word OM is considered magical for healing powers. The skill lies in not just speaking it but chanting it from the bottom of your heart. It can be any mantra all you have to do is to chant it again and again so that your mind starts focusing on it. When you chant anything repeatedly by sitting in a quiet room and closing your eyes, you will start noticing that your contact with the outside world is reducing. Meditation is very similar to technology in its development. From the early stage until now, meditation has undergone a lot of changes. Now, with advanced but yet very simple technique, meditation becomes very easy to do. One of this technique is the initiation technique. After getting a Divine Energy initiation, you could get into a deepest meditation state instantly. Getting into deep state of meditation requires months and months of intense training in the past, but this can be achieved almost instantly with Divine Energy initiation. If you think positive thoughts during meditation, it will have a positive affect on your body as your thoughts have a direct influence on your body. This is called self healing meditation which is involves deep meditation. Through this, positive energy is produced in our body that increases the healing process. This form of meditation is often suggested by hospitals these days. For meditation, you should be in a calm and quiet place. This will help you to focus in a better way. The mattress you are practicing on should be comfortable too or else you will easily get distracted. Early morning is the best time to meditate as mind is all fresh that time. Drinking a glass or two of water prior to meditating is good. One thing to keep in mind is that you should not eat too much before you start meditation. Keep yourself light and mind relaxed. When your stomach is neither empty nor extra full, you can concentrate better.